We are honored to have delivered our first full year of wallpapers for our Patreon supporters. With one new wallpapers a month, you can see a glimpse of the machinations, work, and progress our team has achieved over the last twelve months through these wallpapers. New games, new projects, immense projects, old projects -- all mixed together into one glorious set of digital rewards. 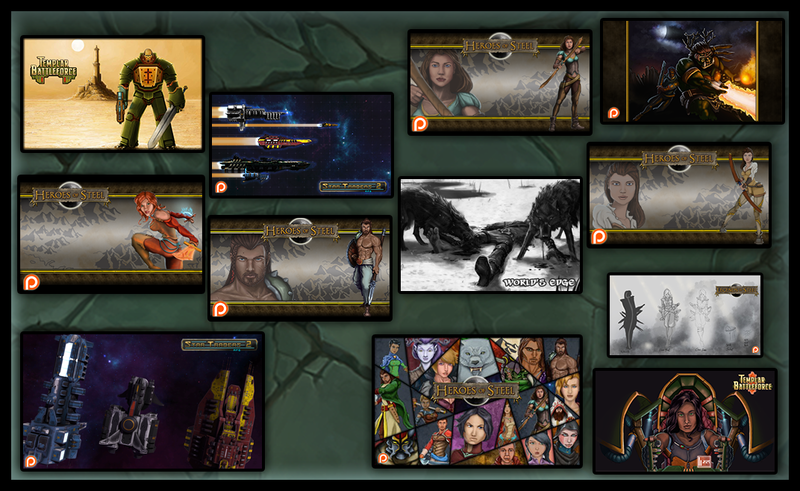 As we pass the year anniversary of starting the wallpaper reward, we'd like to extend our thanks to all of our 51 Patreons who have chosen to pledge a monthly amount--small or large--to help us stay in business and keeping making the games that we love to share with our entire community. It has been a great year of wallpapers--for me, twelve months now with twelve different backgrounds--and we look forward to the next year! If you would like access to a years worth of wallpapers, and all future rewards as well, join us on Patreon at $1 a month.